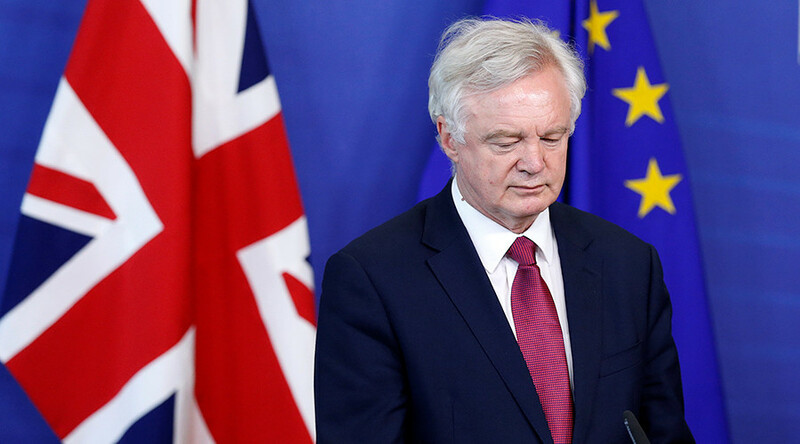 By the end of day one of Brexit negotiations in Brussels, the man responsible for getting Britain the best possible deal, David Davis, had already capitulated to one of Europe’s key demands. 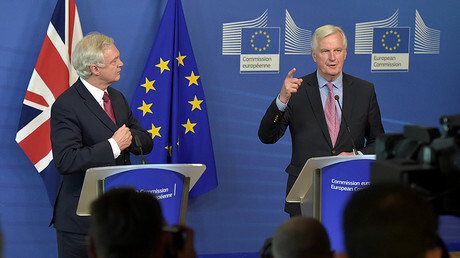 After hours of discussion with Europe’s lead negotiator, Michel Barnier, Davis agreed to set aside discussions on free trade for a later date, pushing forward instead with negotiations on Britain’s multimillion-euro divorce bill. Davis, however, insisted the compromise was still in tune with his government’s ‘hard Brexit’ strategy. “It’s not how it starts, it’s how it finishes that matters. Nothing is agreed until everything is agreed,” he said on Monday evening. Observers were quick to note, however, that the Brexit secretary’s pugnacious tone at the beginning of the day was gone by the afternoon. “A lot less swagger in Davis by the end of the day than at the start,” the Guardian’s Brexit policy editor, Dan Roberts, wrote on Instagram. “Britain spends months being a cocky b*stard and then 100 percent agrees to the Brexit timetable outlined by the European Union,” mocked the parody account Angry Salmond on Twitter. A lot less swagger in Davis by the end of the day than at the start. Labour veteran Harry Leslie Smith too scorned the cabinet minister. “Over #DavidDavis lacklustre career he has never been known to negotiate anything successfully except a free lunch for himself,” he quipped. Meanwhile in Britain, Chancellor Philip Hammond seemed to steer clear of his colleagues’ hard Brexit approach, highlighting instead the need to put jobs and economic prosperity ahead of point-scoring. “I have said before, and I remain clear today, that when the British people voted last June, they did not vote to become poorer or less secure,” Hammond argued during a Mansion House appearance in the City. It was the first time a senior government figure openly called for a managed approach to Brexit, prompting some commentators to suggest the chancellor had turned against Prime Minister Theresa May. “Extraordinary speech from Hammond. Given up pretending he thinks there are benefits to Brexit. Confirmation that May’s authority has gone,” Sky News political correspondent Lewis Goodall tweeted. And again we have seen the Chancellor distance himself from the position of the PM on Brexit. Further disarray at the top of government. The chancellor also called for the continuation of open borders. His shadow, Labour’s John McDonnell MP, announced ahead of the June 8 election that a Labour government could not guarantee that Britain would stay in the customs union or that there would be free movement between the UK and other EU nations after Brexit. Echoing the chancellor’s words was the governor of the Bank of England, Mark Carney, who argued that Brexit will make British people poorer.